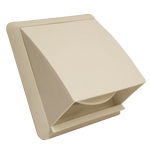 The DUCVKC357 is primarily used for individual extract fan installations. 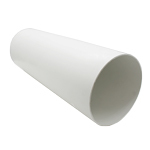 Being a telescopic pipe it can vary in length depending on the wall thickness of the installation. 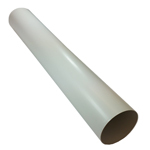 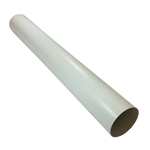 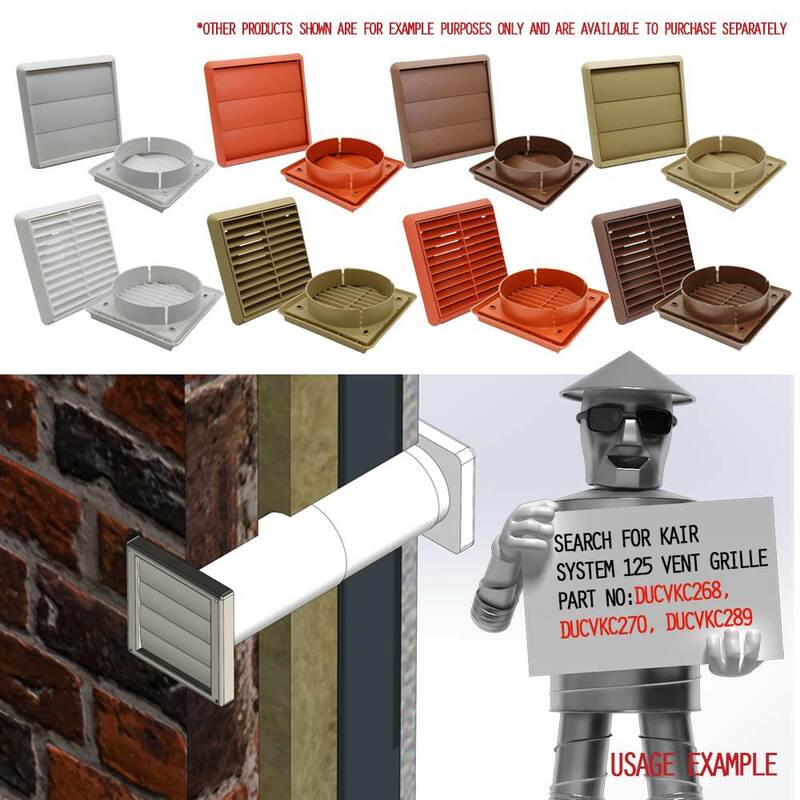 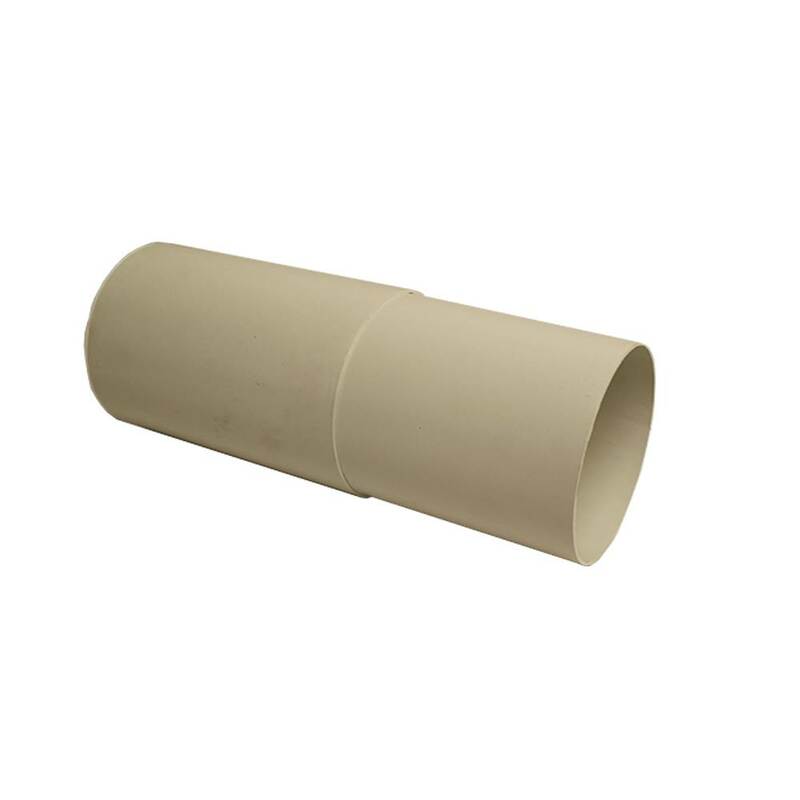 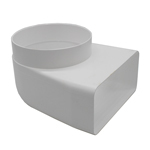 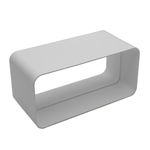 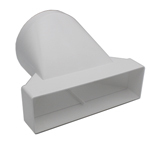 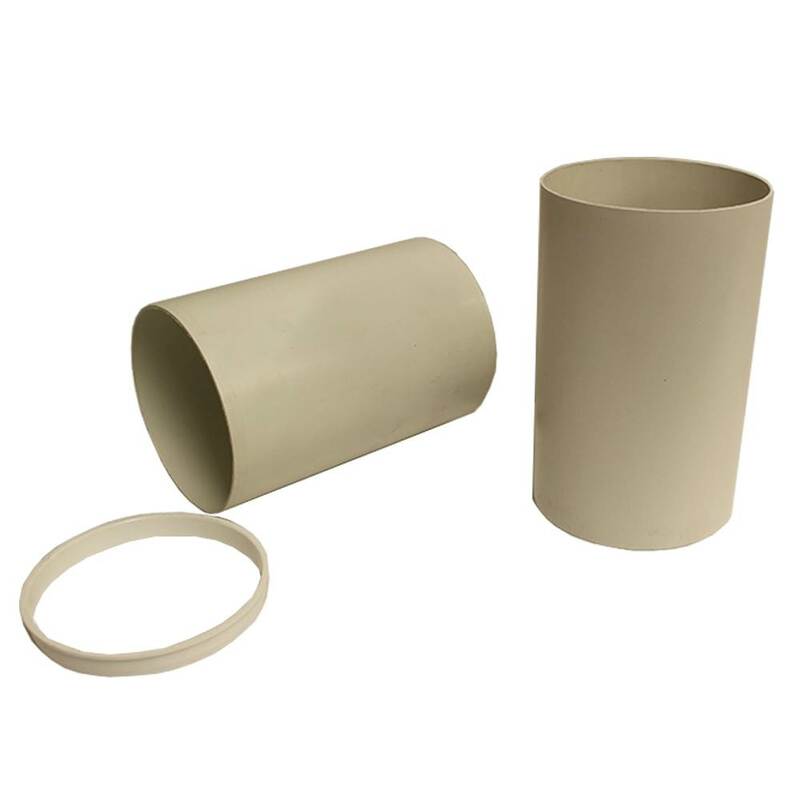 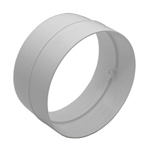 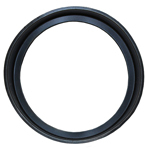 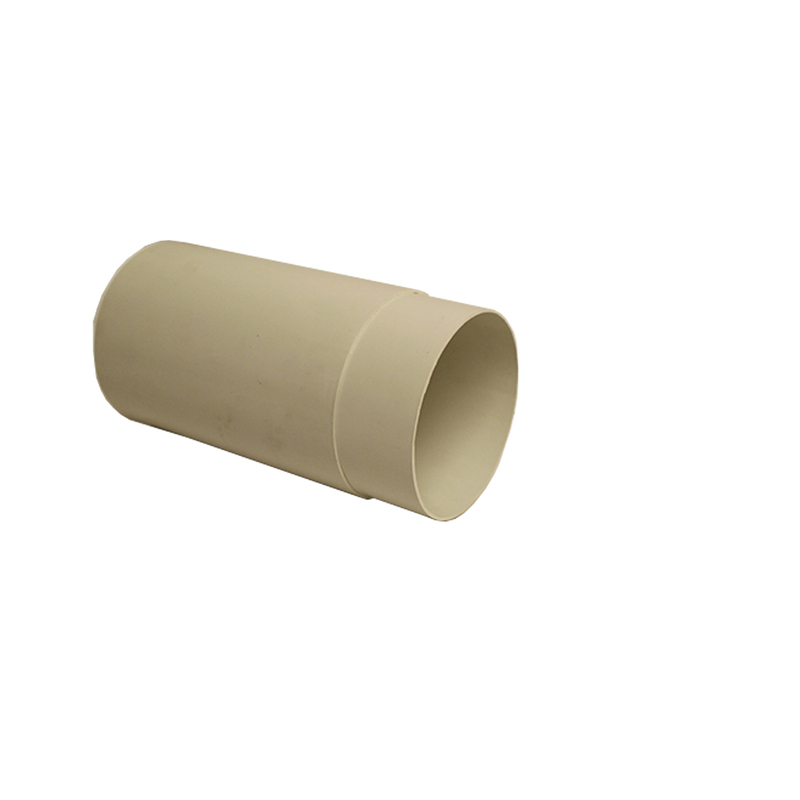 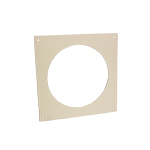 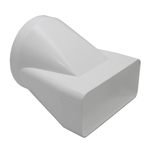 125mm diameter Telescopic Round Pipe is manufactured from Rigid PVCu. 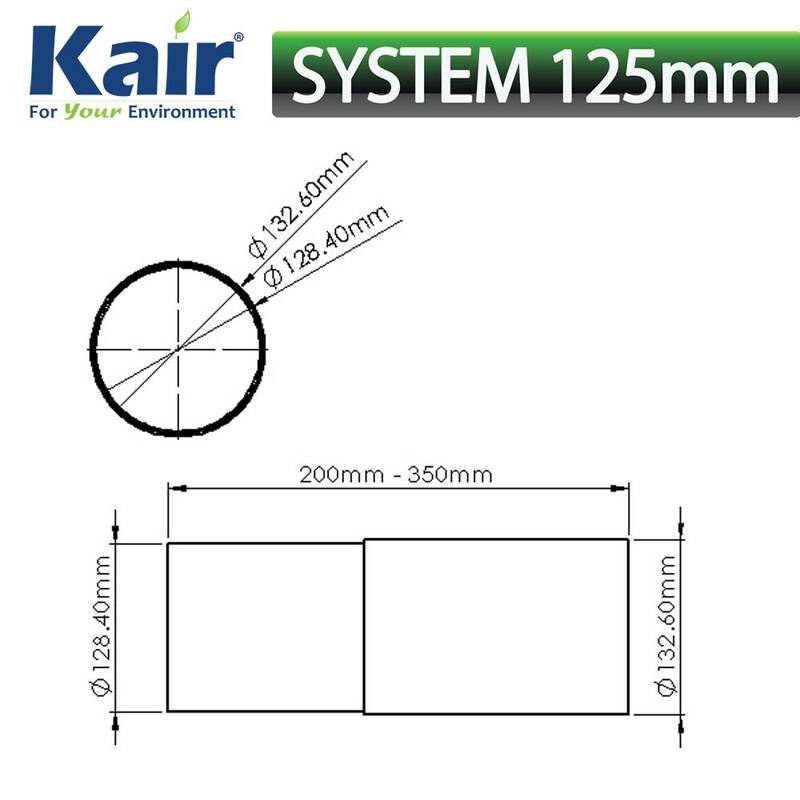 The round pipe has a minimum free area of 12,273mm² and fits over the male spigot of the Kair System 125 fittings. 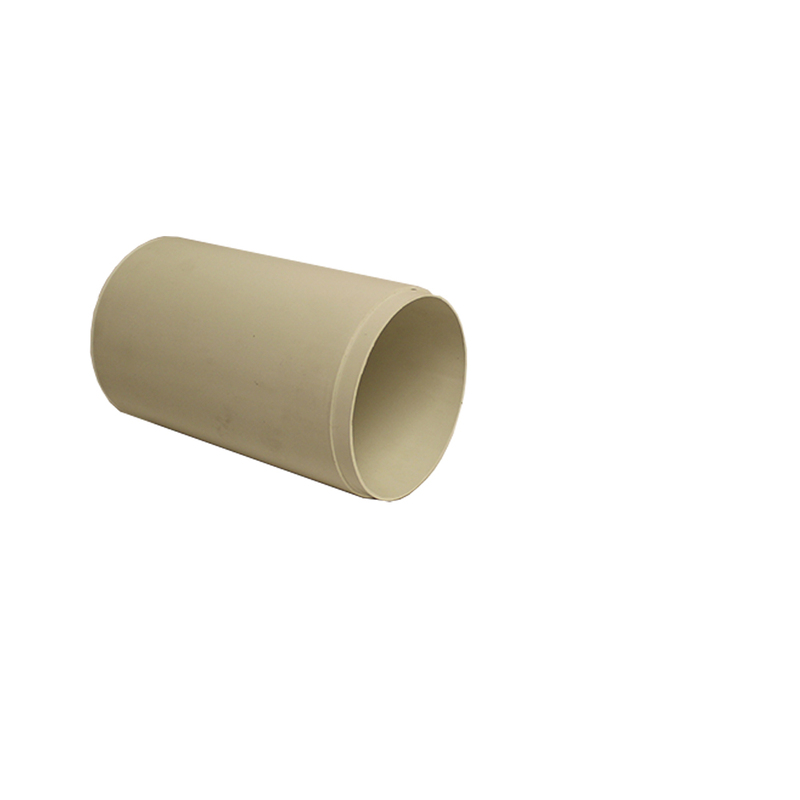 Round Pipe is manufactured in compliance with Domestic Plastic Ductwork Specification DW/154 and will meet UL94 V0 flammability standard. 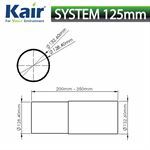 Telescopic Pipe has been designed for use with Kair System 125 Round.